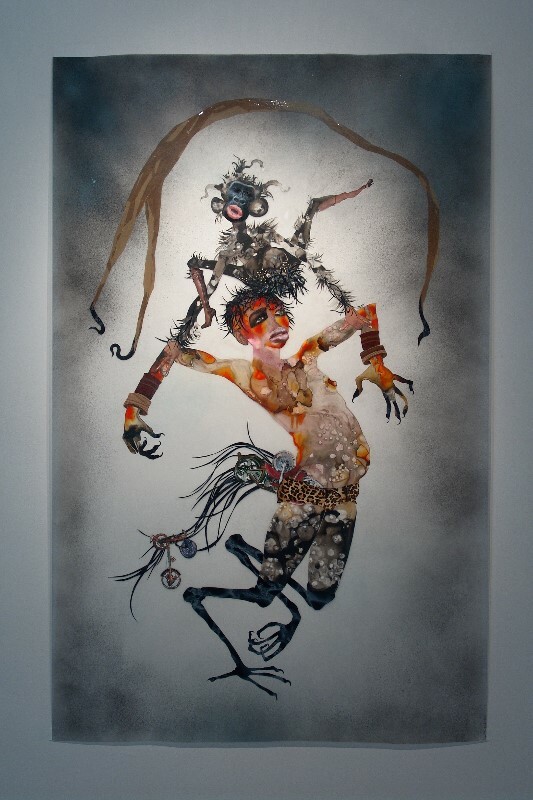 Wangechi Mutu, is one of the most important African artist of the moment. Her work consists of bizarre worlds full of female representations. She is part of an important group of artists. Wangechi Mutu, Kudzanai Chiurai, Alain Serge Nitegika, Nandipa Mntambo, Victor Ekpuk, Hassan Hajjah … All artists, from Kenya, Zimbabwe, Burundi, Zuid-Afrika and Marokko who are rocking at international art venues. Kassel, Venetie, Moma and Tate. in the Nederlands? Nowhere to be seen. Lost in curation. Ok, maybe not quite. Sometimes their work is part of a group-exposition or side exhibition. Only few of them succeed to the walls and spaces of more estabilished venues in the Netherlands, like Angolese Nástio Mosquito in the ‘Van Abbe’, or Ghanean El Anatsui with the Prins Claus Fonds, or in a while, the South-African Zanele Muholi in the Stedelijk Museum. ‘Don’t tell us you didn’t know’ Dutch curators! Artistic platforms, independent galleries and magazines like ZAM have focussed on this work from the continent for years! Open your scope!